JUST a quick collection of links featuring interesting posts dotted around the internet, and if you have a few hours spare this weekend a chance to listen to some music in Manchester. A piece on Chris Anderson's blog, who is the man behind the Long Tail and he is currently working on a book titled Free that looks at alternative methods of generating revenue through the web. A look behind the scenes of one of the French language news websites I have been reading since it first came online, highlights the difficulties facing any internet publication. A very interesting piece about how news stories could be compiled, written, commented upon, progressed and taken in so many directions with the tools out there today. Remember life before email? Well Suw Charman-Anderson looks at the world of email and the terrible stress and strain it has on people, "email is as addictive as a slot machine". If there is one thing blogs and all the related tools of the internet let you do it is create and appeal to an audience, without requiring millions of pounds behind you. If after following all these links you have a little time on your hands this weekend, then take up the chance to enjoy some free folk art, music, dance, film and some very special events. THE whole process of the way this story has been placed in front of a number of people in around an hour or so should be considered by a group of MEPs who have their eyes on regulating bloggers. Thanks to a message on Twitter from Mark Comerford about an EU report titled DRAFT REPORT on concentration and pluralism in the media in the European Union (.pdf) I've been able to read that MEPs are keen to promote 'voluntary labelling' for blogs. And thanks to Mark highlighting a link to an accompanying article on the European Parliament news service I've been able to read how aware of the range of blogs the report's author is. 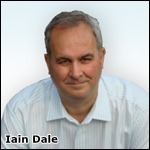 ONE of the UK's most popular political blogs is Iain Dale's Diary and the man behind it is featured by the Press Gazette today because of his plan to produce a spin-off magazine, see Total Politics: Boldly going where no blogger has gone before. One of the reasons behind the move is that Iain's site has produced poor returns on advertising, he says that Adsense has earned him £7,000 a year and that advertisers just don't get blogs. From a blog publisher's perspective, there are a couple of things I would take from the interview and a look over Iain Dale's Diary website. THE blogging man from the BBC, Robin Hamman, is heading out of Broadcast House to take up a new role at Headshift, a social media consultancy. Robin was the leading force behind the BBC Manchester blog project and enjoyed the respect of many bloggers in the city, so I am sure they will wish him the best of luck in his new job, I know I do.